MFW17 takes place at the Media Park in Hilversum. 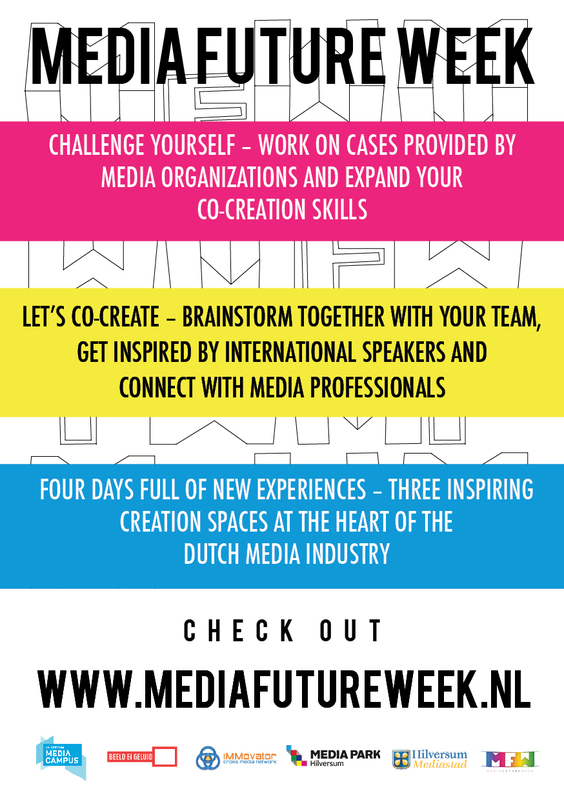 Two floors of the Mediacentrum will be transformed to co-creation places and the lectures will take place in the Institute of Sound and Vision (Beeld & Geluid). It’s located next to Station Hilversum Media Park so you can reach it by train easily. The walk from the station to Media Park is less than 5 minutes. Opportunity for (paid) parking is available at ‘Parkeerdek A’ located at the Media Park.